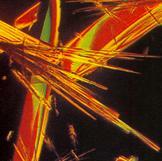 Canthaxanthin exists naturally in birds, fish, fungi, algae and insects. It is a red carotenoid and widely used in the feed industry as an additive for offering red pigmentation to egg yolk and poultry skin. It is a highly potent red colourant available to poultry industry. In comparison to the red carotenoid from plants, canthaxanthin is in a high bioavailability form and has a higher deposition rate in egg yolk and poultry skin. Flesh colour is a very important quality indicator used by consumers to judge the quality for farmed salmonids, in combined with astaxanthin, canthaxanthin is commonly used for salmon and trout pigmentation. Canthaxanthin acts as an antioxidant like vitamins C and E, it helps to protect the body cells from the damaging effect of free radicals and has a positive impact on the immune system. Canthaplus®10% consists of reddish brown, free-flowing beadlets. 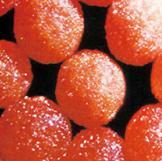 Each individual beadlet contains canthaxanthin in a protective matrix. Canthaplus®10% is the product of choice for the feed industry. The high purity canthaxanthin is finely emulsified with antioxidants and dispersed evenly in a protective matrix. The fine emulsion of canthaxanthin allows an optimum absorption of the carotenoid in the digestive tract resulting in a higher deposition rate in target sites. The product is manufactured by the spray-dried coating technology and the use of antioxidants protects the conjugated double bond structure of the canthaxanthin molecule from oxidative decomposition when exposed to air, heat and humidity.